My work is mainly aquatints combined with etching and recently I have been using white ink on black paper to represent caves or dark interiors. I produce small editions of up to 20. 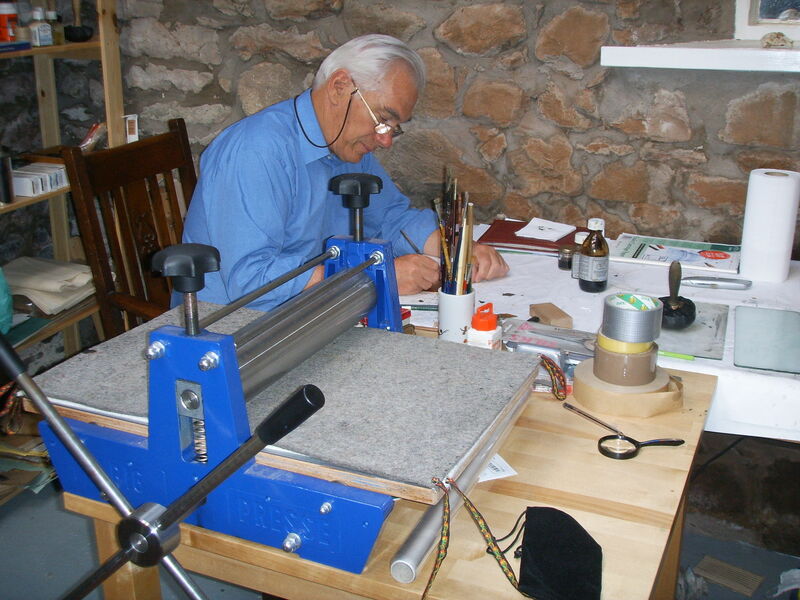 For each print, the plate or block is inked by hand, so no two are identical. It is the limitations and difficulties of printmaking which allow me to find the essential elements in the image. Most of my work is rooted in landscape but can also find inspiration in buildings. My work acknowledges the influence of my youthful exploration of the abstract in art while retaining a response to the visual stimulus of the world around us. In 1997 I retired after over 30 years working in Education. For 13 years I lived in Cumbria where I took up printmaking and exhibited in local Galleries including a one-man show at Abbot Hall in Kendal. 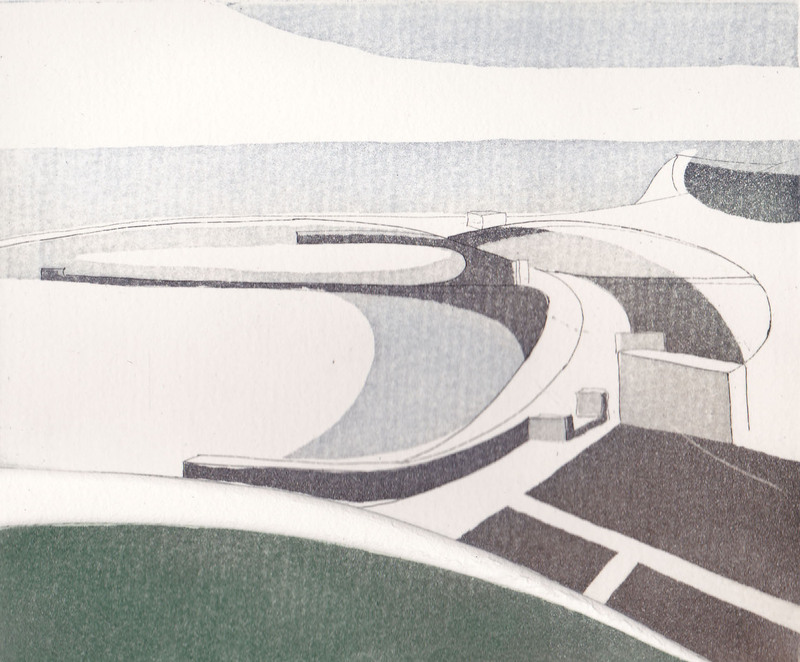 After moving to Dover, I continued to make prints and after retirement I began to exhibit again, in particular, with the "Image" group of printmakers based in Whitstable. I returned to live in Cumbria in 2003 and have exhibited widely within the County since then. 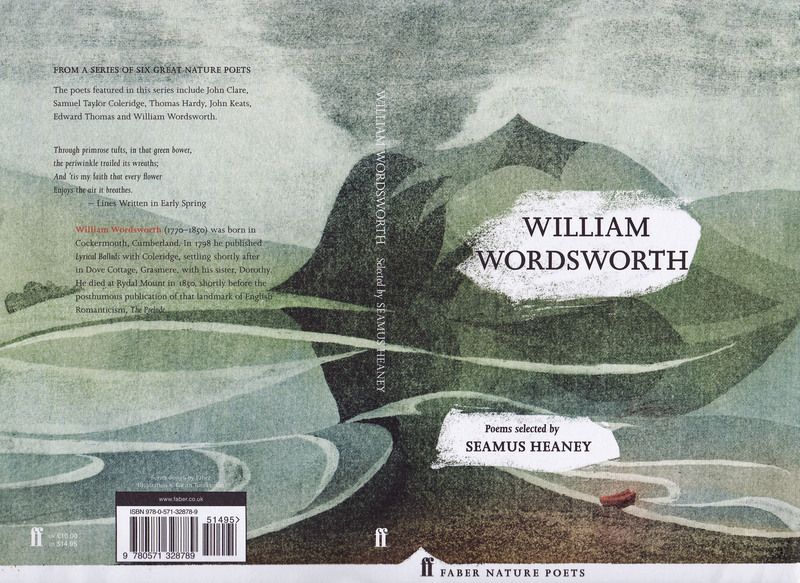 Faber and Faber: Cover and endpapers for a new edition of Wordsworth's poetry edited by Seamus Heany.